If you are just starting out, there are a few important things you need to know about credit cards, so that you don’t find yourself over your head in debt before you know it. If you make only the minimum monthly payment on your credit card, it will not only cost a lot of money over the long run, it will also take a very long time to pay the balance. Here are some tips to paying off your card faster and keeping more money in your wallet. Use our calculator to experiment with payment amounts. Credit cards are convenient, but they may not always be your best option for funding. Here, we discuss some of the pros and cons of credit cards. 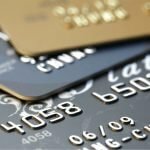 Tips on how you can actually make a profit by using a credit card that earns cash rewards for your everyday purchases.